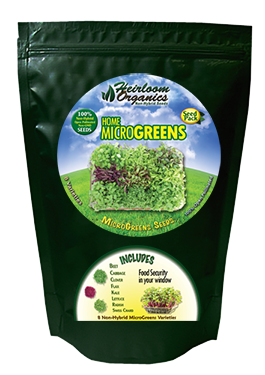 Our MicroGreens Seeds are chosen by Square Foot Gardening EXPERTS for the best results in small-space, low light gardening. They are 100‰ Non-GMO, Non-Hybrid, Heirloom and are the freshest seeds from this years's harvest. We provide the highest seed count for the money and prepare the seeds with USDA developed moisture reduction before hermetically sealing in air-tight, mylar pouches. Super Kelp Extract - 1 oz. Grow Mats / 12 pk.